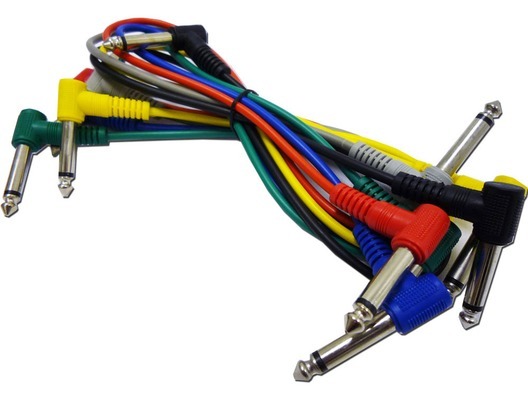 Home > Accessories > Cables & Connectors > 6 Coloured 6.3mm Jack Guitar Patch Leads 0.3m 1/4"
This great set of patch leads in different colours is ideal for loads of different applications such as linking guitar pedals in a daisy chain or connecting equipment in the studio. They feature right angle plugs so the can be used in confined spaces and with moulded 6.3mm plugs, should last for years!! HALF THE PRICE OF MAPLIN ! GOOD QUALITY !